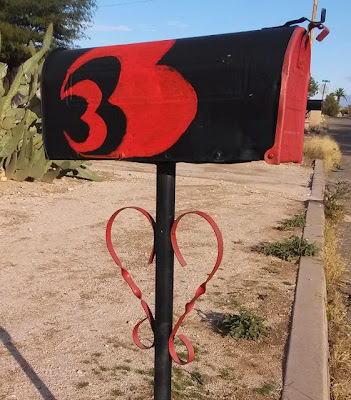 The black and red design shows the house number: 33. But it also looks heart-shaped to me, as does the scrollwork on the post underneath the box. I found this unique mailbox on January 9th.